What was considered high speed a few years ago is slow today, especially in the age of fiber optic Internet. More processes and devices in your business eat up limited bandwidth. The concept of bringing your own mobile device programs that encourages staff to bring and use their smartphones and tablets increase the need for better Internet bandwidth, and of course, speed and reliability. Your company’s use of cloud computing requires consistently fast Internet speed to keep users in focus and more productive. If the response time from an outside resource is full of lag, your staff will be irate, lose focus, and be less productive. Since apps that are hosted by cloud providers have increased in huge increments over the last decades, businesses need to improve their Internet speed to ensure quick response times and achieve high productivity. Recently, email has started using more photos, logos, and videos. People have started using more logos in almost every material they send. Remember that visuals communicate and engage more than words. However, most pictures demand the use of more bandwidth. Also, websites that use a lot of videos, photos, and high-resolution visuals eat up more bandwidth. Video streaming eats up even more of your bandwidth. Notice what happens to your Internet if your staff streams YouTube videos? Try streaming music and videos and watch your bandwidth disappear magically. As every business is trying to find ways to improve the pace of their business by lessening the need to travel and to save money, video conferencing has grown in popularity. Add in the more affordable cost for video conferencing and the convenience of just pushing buttons rather than booking flights for business meetings in other places. It’s easy to see why more people are starting to embrace video conferencing now. Since videos and visuals eat up more bandwidth than text, it is easy to mention that streaming video demands lots of Internet bandwidth. Poor Internet providers create bad meetings. But, high speed Internet service improves meetings and conferences, which enhances productivity. Businesses are now fully aware that backing up their data offsite – such as in cloud storage – simplifies the continuity of business and lessens the risk of losing data from cyber-attacks. The size of data being backed up offsite is constantly increasing. Protecting your crucial and important data and ensuring the continuity of business through offsite backups are made more convenient with better Internet services. 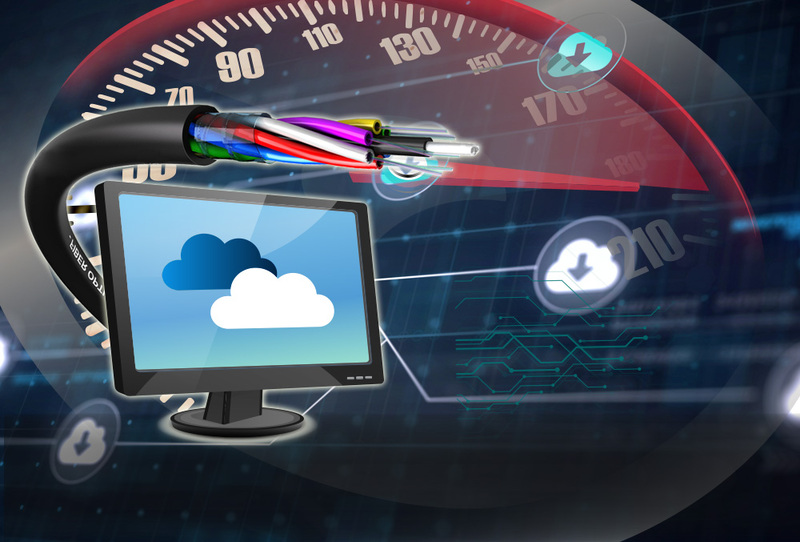 The reasons why high speed Internet is crucial to your business could be far more than the reasons mentioned in this article. Always remember that, in these fast-paced times, Internet speed is a matter of do or die.